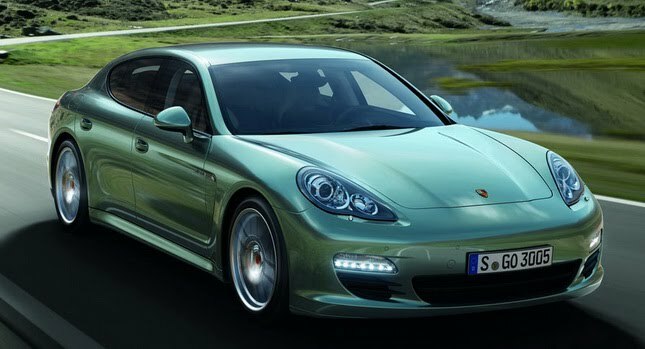 European Porsche shoppers will soon have the option of ordering a diesel-powered version of the Panamera sports saloon. The most fuel-efficient model of the Panamera range is equipped with a Porsche-tuned version of the VW Group’s widely used 3.0-liter V6 TDI employing common rail direct injection technology and electrically controlled variable geometry turbochargers (VGTs). The six-cylinder unit produces a maximum output of 250HP (184 kW) between 3,800 rpm and 4,400 rpm and a peak torque of 550Nm (405.7 lb-ft) available from 1,750 rpm to 2,750 rpm. The V6 is hooked up to an eight-speed Tiptronic S transmission while a start/stop system comes as standard. The Panamera Diesel is offered exclusively with rear-wheel drive.